On Monday, a Johnson & Johnson drug has won Food and Drug Administration (FDA) approval for the treatment of the incurable blood cancer multiple myeloma in patients who were not able to succeed in past therapies and are left with a few options only. Darzalex is the first ever biologic drug and monoclonal antibody that has got approval for multiple myeloma. The National Cancer Institute has estimated that in 2015, the cancer, occurring in infection-fighting white blood cells in the bone marrow will be striking 26,850 Americans and take lives of nearly 11,240 people. Researchers at Johnson & Johnson are one step closer to develop a universal flu vaccine that could work against a number of strains of influenza. The vaccine will act as a holy grail in the medical field that could eliminate the need of formulating a new vaccine every year. A study conducted on mice and monkeys by the Scripps Research Institute and J&J's Janssen Pharmaceutical unit showed that a molecule designed in the lab to mimic a key part of the flu virus's attack could help to stay protected against multiple influenza strains. Still, a lot of work has to be done by scientists to make the vaccine that works on humans, but findings of the study published online on Monday by the journal Science are just a ‘proof of principle’. According to reports of Wall Street Journal, the Federal Bureau of Investigation (FBI) has begun investigating a surgical gynecological tool after receiving complaints that the tool spreads uterine cancer in women during a procedure. According to the investigation by FBI, the pharmaceutical company Johnson & Johnson, the largest manufacturer of the power morcellator, was familiar about the risk of the device and didn't warn customers and physicians. As per the reports, the device was pulled off in 2014, but some other morcellator manufacturers continued selling the device. The FBI is investigating Johnson and Johnson's surgical device that breaks down growths in the uterus so that they can be easily removed. The federal officials are probing whether the company already knew that the device known as a laparoscopic power morcellator could spread cancer in women who used it. It was withdrawn from the market last year. The device was used by surgeons during certain minimally-invasive hysterectomy procedures or to remove uterine fibroids. It grounds up tissue so that it could easily be removed through tiny incisions. A warning was issued by the US FDA about the cancer risk in April 2014. It said that morcellation could worsen the patient's likelihood of long-term survival. The FDA implemented its most serious warning on the device in November. Johnson & Johnson Thursday announced that it will become the first pharmaceutical company to formally seek advice from outside medical ethicists on 'compassionate use' requests. As per experts, under the 'compassionate use' requests, a patient asks drug makers to allow them to take an experimental medication. But is has been told that the ethicists' recommendations will be advisory, with J&J making the decision. Bioethicist Arthur Caplan of NYU School of Medicine stated that the drug maker must give is liable to provide a rationale if they disagree. Caplan, who will lead the committee of 10 and recommended the approach to J&J, said that he do not think that they will continue to do it if the company will keep on ignoring them. A deal has been signed by Google to collaborate with Johnson & Johnson subsidiary Ethicon so as to work on surgical robotics applications. According to the statement by J&J, both the companies will bring capabilities, intellectual property and expertise together in order to build a robotic-assisted surgical platform. Johnson & Johnson said in a statement, "The companies will bring together capabilities, intellectual property and expertise to create an innovative robotic-assisted surgical platform capable of integrating advanced technologies with the goal of improving health care delivery in the operating room". On Tuesday, Johnson & Johnson subsidiary McNeil-PPC Inc pleaded guilty in Federal District Court in Philadelphia to one count of information charging the company for selling liquid medicine contaminated with metal. According to the United States Department of Justice, the company has agreed to pay about $25 million to resolve the case. Out of $25 million, $20 million will be paid as criminal fine, while $5 million as forfeit. About four years ago, the company had launched recalls of some medicines, including Infants' Tylenol and Children's Motrin. The medicines were made at the company's Fort Washington plant. On Monday, United States pharmaceutical and medical equipment maker Johnson & Johnson announced that it will sell its Cordis vascular technology unit to Cardinal Health, health care services company based in Dublin, for $1.99 billion. The deal confirms the pharmaceutical and consumer packaged goods manufacturer's exit from the cardiovascular stent business. According to reports, the deal consists of $1.944 billion of cash proceeds from Cardinal Health and about $46 million of retained net receivables. Currently, the Fortune 500 health care services company has been expanding its medical equipment offerings for doctors. Net revenue of Cordis in 2014 was about $780 million. 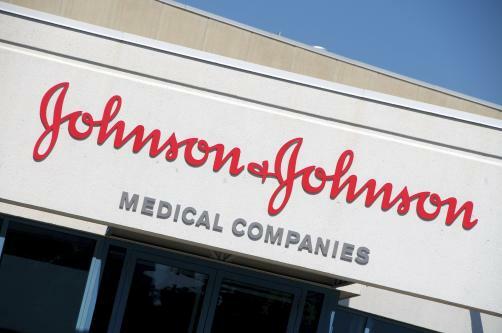 Johnson & Johnson has said that it has agreed to pay $2.2 billion to settle civil and criminal allegations relating to off-label, unapproved uses for three prescription drugs. The Justice Department officials announced on Monday that the company has agreed to pay the settlement amount to settle claims. The case that started in 1990s and went on till the early 2000s included allegations of kickbacks to doctors and pharmacies to promote the antipsychotic drugs Risperdal and Invega, and a heart drug, Natrecor. The FDA's Advisory Committee for Reproductive Health Drugs and a drug safety committee said that the Johnson & Johnson should more clearly explain the risks of the Ortho Evra norelgestromin/ethinyl estradiol transdermal patch. The panel voted 19-5 in favorer of allowing the sale of Ortho Evra patch to continue. They said that its benefits are more than potential blood clot risks. The panel recommended that the FDA should allow the patch to remain in the market as a contraceptive option. The US healthcare system giant Johnson & Johnson is considering making a new attempt to acquire UK listed healthcare company Smith & Nephew. Johnson & Johnson United States, should think about an offer that the values S & N, much higher than its earlier offer of 685p. The company is expected to offer 800 pence per share in fresh offer. Shares of makers of hip and knee replacements, Smith & Nephew Plc saw a rise which was highest in the last six years. The price rise was propelled by rumors that it had refused a 7 billion-pound ($10.9 billion) takeover offer made by Johnson & Johnson. The offer was said to have been made somewhere close to Christmas. No comments on the same were made by David Illingworth, Smith & Nephew's chief executive officer. He, however, did comment on an occasion where he did say that such speculations had been going in for the last 10 years. London, Oct 25 :Pharma giant Johnson & Johnson is facing a multi-million-pound legal claim after more than 10,000 patients in Britain were told their hip replacement operations needed to be reversed. Many patients have been in excruciating pain, with some unable to walk since the operation. Now some of those affected are preparing a class action suit against Johnson & Johnson's orthopaedic branch, DePuy, in a case which could cost the company 350 million pounds. A review of company documents indicates that Johnson & Johnson sent out a contractor to purchase Motrin before the pain reliever was recalled. In July, J&J recalled 88,104 packages of Motrin. According to the reports of The Wall Street Journal, it reviewed internal J&J e-mails indicating some employees knew about the instructions that directed the contractors to pretend they were regular customers. Boston Scientific Corp. again agreed to pay Johnson & Johnson a hefty sum to end patent disputes, this time agreeing to a $1.73 billion payment to settle litigation over heart stents. The companies had settled 14 other patent-infringement suits in September, with Boston agreeing to pay $716 million then. Boston Scientific said Monday the decision to settle was part of its effort to decrease risk throughout the company. "We believe today's settlement, although substantial, is in the best interest of the company and its shareholders," Chief Executive Ray Elliott said. As confirmed by the company, Johnson & Johnson is expanding the voluntary recall of its arthritis treatment medicine, Tylenol Arthritis Caplet, mainly on the back of customers reporting of "moldy smell that can cause nausea and stomach pain". As per the statement released on the official website of the US Food and Drug Administration, the pharma company is now recalling all lots of the "Arthritis Pain Caplet 100 count bottles with the red EZ-Open Cap". Last month, 5 lots of the product were recalled.